Are you wondering whether it’s time to book one of the Oregon coast’s charming beach vacation rentals to escape the everyday? If you’ve been around Oregon lately, you know that the season of summer has heated up the temps and inspired vacationers to get out of town all across the state. Temperatures may be cooling down – for now – but there are still ample reasons (and opportunities) to enjoy this coast and everything it has to offer. First, though, you need the right rental to serve as home-base for a week of adventures or a weekend of relaxation. 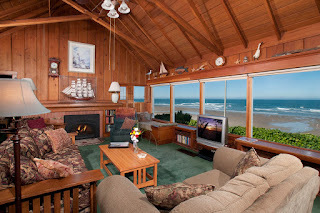 Take a look at these perfect properties to plan your escape to the Oregon Coast. Escape the Heat on the Oregon Coast! This five-bedroom restored 1921 cottage is one of the most charming home rentals you’ll find on the Central Oregon Coast. The Heathergate is a two-story home with vaulted ceilings made of rustic knotty pine. Guests enjoy views of the land and sea, as well as gorgeous natural light, through panoramic windows surrounding the house and its large gathering area combining a living room, kitchen, and open dining room. 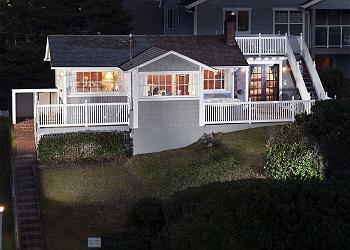 You can even get right down to the beach and tide pools via the stairs leading from the deck. If you’re looking for something smaller and quainter and tucked away, without losing the amazing views available from a 2ndobservation deck, the Nantucket may be right for you. This 1927 restored cottage features a fireplace, comfortable furnishings, and original wainscoting walls with white trim on the inside. On the outside, guests find a hot tub and deck complete with bbq after exiting through the home’s beautiful French doors. And if you’re looking for plentiful shopping and casino entertainment, it’s all only a short walk or drive away. Looking for private beach access with four bedrooms and a game room to accommodate the whole gang? The Pirates Lookout may just be right for you. This oceanfront rental features a hot tub, expansive deck, living room, family room, and separate game room in the garage with foosball and ping pong. The surrounding area is known for surfing, whale-watching, and walks to art galleries and a range of dining options. If three bedrooms is more suitable for your group size, the Porthole may be the perfect rental to accommodate your vacation plans. This picturesque home features a wrap-around deck with expansive ocean views, covered patio with barbeque, porch swing, backyard with burning pit, picture windows featuring sand and sea, a 15-foot river rock fireplace, big screen television, open beamed ceilings, and hardwood floors. And the best part is that you’re only a five-minute walk from the beach. 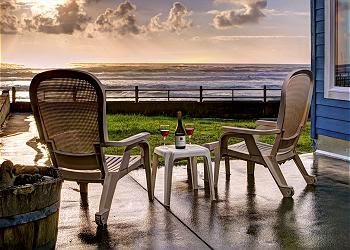 Whether you’re looking for condo rentals to shelter a romantic getaway or expansive beach homes to accommodate a family-style vacation, you’ll find it on the Oregon Coast. Book your property today! 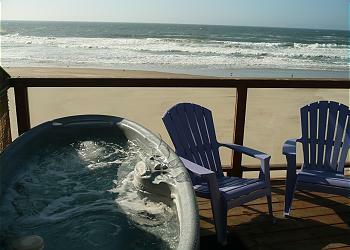 Third Nights Free for Home Rentals on the Oregon Coast This July! When it comes to home rentals, Oregon vacationers have their fair share of options. 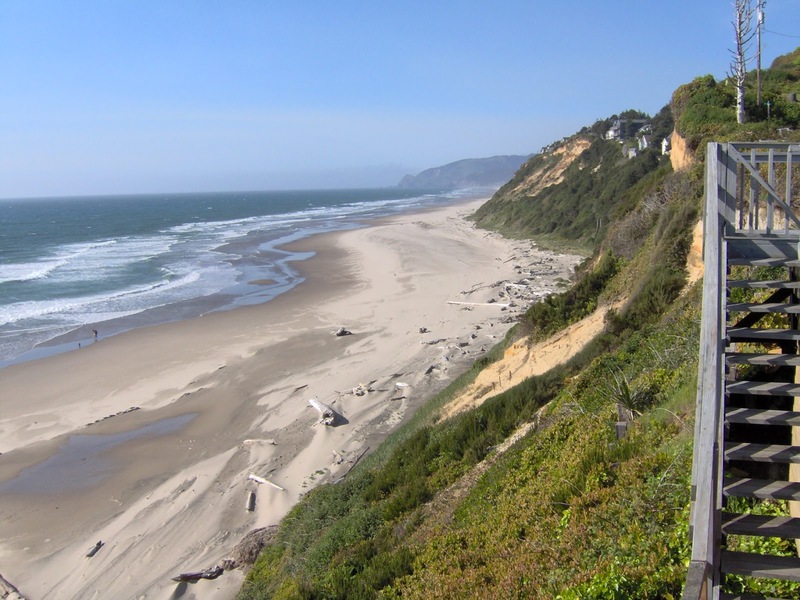 This July, though, vacationers also have a wide range of deals to take advantage of if they choose to spend their getaway on the Central Oregon Coast. 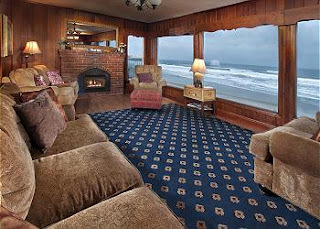 Groups that book two or more nights in Lincoln City through A-1 Beach Rentals will enjoy their 3rd nights free until the end of the month in a variety of beach vacation rentals. Oregon coastal stays just got a bit sweeter thanks to these July-only deals. Keep reading to learn more. Stay 2 nights and get the 3rd night Free in July! This one-bedroom vacation rental condominium is one of this coast’s most charming and romantic condo rentals. 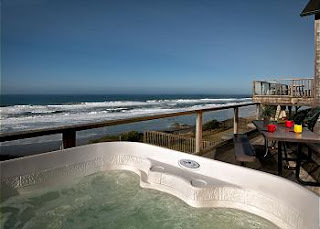 Oregon holidays for two begin perfectly at Miracles thanks to the condo’s panoramic ocean views, beach access mere feet away, and luxurious amenities such as a hot tub, leather love seat, wood-burning fireplace, and comfy queen bed with fresh linens. A romantic date is effortless, whether you walk next-door to restaurant and lounge The Mist or stay in to prepare a meal at the bbq or in the full modern kitchen complete with granite countertops. Once dinner’s done, relax with a 42” TV, Wi-Fi, DVD player, and range of board games. If you’re looking for a slightly larger vacation rental condominium that sleeps four, the Prince of Whales is right up your alley. Enjoy your third night free in July when you book this condo rental complete with newly remodeled kitchen and bathrooms, open living room and kitchen overlooking the beach, river rock fireplace, and free wifi and flat screen TV to stay entertained. 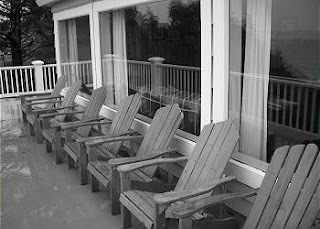 The community’s beach club house features a pool, spa, game room, and theater room to keep the whole gang occupied all day, plus nearby Depoe Bay offers beloved restaurants such as Italian Riviera and Tidal Raves. The beautiful ocean views between Lincoln City, Newport, and Depoe Bay also speak for themselves from the moment you check in. Have a larger group for your three (or more) night getaway? 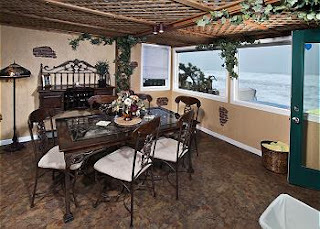 Want to be near the beach and the casino? Chinook Winds Hideaway is an ideal spot for all your needs. This vacation rental house sleeps eight people and is perfect for families with wifi, a children’s fun play loft complete with books and toys, and a game room including a 42” plasma screen TV, air hockey, foosball and ping pong. The surroundings are comfortable thanks to a fireplace, leather furniture, fresh linens and towels, a fully equipped modern kitchen, washer and dryer, high ceilings, hardwood floors, recessed lighting, and skylights. Need to sleep ten people? Have two or three carloads? 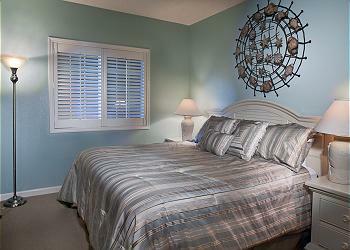 You can still enjoy this deal on beach vacations rentals. Oregon vacationers can accommodate large groups in this four-bedroom/three-bathroom home with three queen bedrooms, two extra double beds, and one twin bed to suit a range of ages. As soon as you arrive you’ll notice the large living room with flat screen TV, gas fireplace, and ocean views. You can be on the beach in mere moments, as there are only 15 stairs from the home’s yard to the sand. Also enjoy a private courtyard with hot tub, or stay in for a gourmet meal cooked in the modern kitchen featuring granite counters, gas stove, stainless steel appliances, breakfast bar, and adjoining dining area that seats eight. Whatever kind of Oregon getaway you’re looking for, there are rentals to suit your every want and need with a third night free this July. Book now, though, because these charming beach properties are going to book up fast! 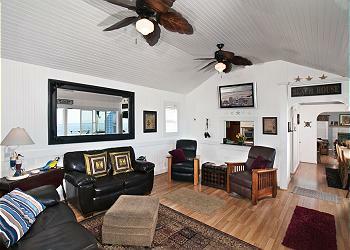 Rent One or Two of These Exciting A-1 Beach Rentals Properties this Fall! 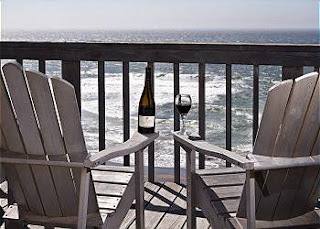 A Road’s End Beach House, Sea Stars North & South, the Porthole, and Nantucket have openings in September! Remember to Book a Home with a View This Fall! 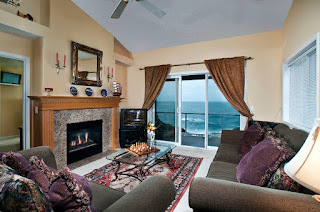 Book A Couple of Nights at Miracles, Prince of Whales & RSS Condos! A Few Last Minute Openings at Shoreline, Pirates, Porthole, Heathergate! 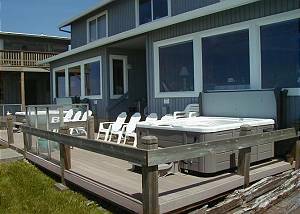 Call A-1 for availability on these great oceanfront homes!